Dimensions 26 x 2.30 to 2.85. 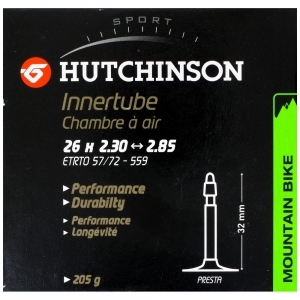 Room presta valve 32 mm This tube is designed for mountain bike cross-country competition for riders looking for performance. Keeps the pressure very long. Made from high quality butyl. Has a high resistance to puncture.